We’re absolutely thrilled to introduce the newest member of our family - Radford. It was love at first sight and over the last month we have fallen head over heels for this little guy! We’re pretty sure he is the cutest. baby. ever. We look forward to continuing on this adoption journey with Radford’s beautiful, strong, loving and selfless birth mum. We have so much respect, love and gratitude for her and the rest of Radford’s birth family. We’ve all been in awe to see the hand of the Lord in bringing our families together! We feel so blessed to have this little guy in our family. Thanks to LDS Family Services for referring our birth mother to our adoption agency Adoption Options, and to our social worker Melinda for guiding us through the adoption process. And of course a big thank you to everyone who has helped welcome Radford into our family. It has been a long difficult journey for us, but this little man was worth the wait!! Kyle, Zoe, Hazel, Dekker and Radford. On January 26th, 2019, the sweet baby girl that we’ve prayed for, dreamt of and loved finally made her way into our grateful arms. We are so blessed to announce the arrival of our daughter, Kadence Hanna. Kadence was born December 18th, 2018 and was placed in our loving care on December 20, 2018, by her amazing birthmother. Born weighing just 5lb 9oz, we were amazed at how such a small package could take up such a huge place in our hearts. We truly are thankful to Kadence’s birth mom for this Christmas miracle she has given us, and for entrusting Brett and I to be the loving parents of this precious little gift. We will be forever grateful to you. Brett and I would also like to thank Adoption Options for their support they have given us throughout our journey. We truly appreciate all that you do. We would also like to thank Erika for everything you did on the match meeting day. You made it as comfortable as you could, and I know that cannot be an easy job, but thank you for doing your best. Our family has grown ... by two feet! Please welcome home, Haven. We proudly announce the adoption of our daughter. Our dearest Haven, our hopes, prayers and dreams for our family came true this Christmas. No, we didn’t give you the gift of life, life gave us the gift of you. My wife and I couldn’t have been more excited to get the news we were chosen for an unborn child days before his birth. On Nov 6th, 2018 little Nolan Andrew Reid Parker was born at 5lb 4oz. We were both lucky enough to witness his birth and I even got to cut the umbilical cord!. The birth mother and family are amazing and we continue to keep in touch with them on a regular basis, sharing photos and stories over Facebook, Text/iMessage and a wonderful app named Tiny Beans that keeps moments private and shareable with family and close friends. Chantelle was always there for us to help us and answer our questions as we waiting and navigated the system, if it wasn't for Adoption options we wouldn't be at this point in our lives. At times the process felt like it was dragging and other times it felt very fast paced. We learned that patience is truly a virtue and good things come to those who wait. In the end we are very pleased and couldn't be happier. We are over-the-moon delighted to announce the arrival of our daughter, Daveny Annabelle. Daveny was born November 1st, 2018, and was lovingly placed in our arms the next day by her birthmother. Born weighing just 5lbs 9 oz, we are amazed at how such a small person could quickly take up so much room in our hearts. We’re so excited and happy to be Daveny’s parents, and we’re truly humbled and grateful to have been chosen to be her parents by her wonderful birthmother. The team at Adoption Options made this process of "hurry up and wait” much more bearable. A special thank you to Sheryl for guiding us through this whirlwind of a placement, and to Melinda for her support over the past few years. With gratitude in our hearts and an unexplainable amount of love, we are excited to announce the adoption of our baby girl, Chloe. Chloe was born on October 5th, 2018 at 7:07am and 6lbs 7oz, and was lovingly placed in our arms immediately after birth. We spent some quality time in the hospital with the birth parents and Chloe just enjoying the wonder of a newborn baby, and she came home with us on October 6th. Our eternal love and gratitude goes to her birth parents who have high hopes for this little girl and have trusted that we can fulfill those dreams. We are looking forward to this adventure and everything it will bring! Thank you to everyone at adoption options, and especially Melinda, we could not have navigated this process without you! We couldn’t be more thrilled to have this little man come into our lives. There’s really no describing how grateful and happy we are to be parents to this sweet little boy. He was definitely worth the wait. He came into our lives overnight but he’s been so good and the transition has been as easy as it could be. Even our kitty Gus has adjusted well to the change. Any and all of the difficulties we experienced getting to this point are swallowed up in the love and joy we feel by having Rockwell in our home. Couldn’t really be more impressed with Adoption Options through the whole process. Thanks to everyone there and, of course, the brave and selfless birth parents who’ve entrusted us and made this possible. We love him so much. Andy, Debbie & Finley are delighted to announce the addition of Elliott Kingdom Terrance to our family at 1 day old. The world changed in an instant, and we couldn’t love him more if we tried! We are so thankful to the AO team for their support in this journey. We pray blessings over our boy’s birth mother, and joy and fulfillment to those who continue to wait. This is little Simon David - he was born September 5 at 5 minutes to midnight, the little nightowl/party animal he is. His big sister Evie is pretty happy with him, except when he's feeding. She gives him the sweetest little kisses. 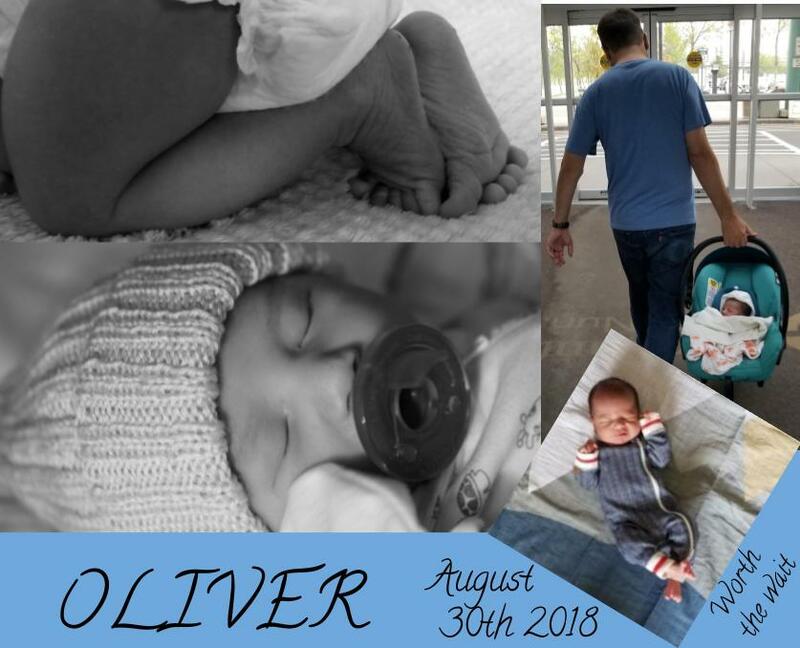 It is our great pleasure to announce the arrival of our son Oliver. He was born at the Grey Nuns Hospital on Aug 30th, he weighed 7lbs and 5oz. He was placed with us on the day of his birth by his brave birthmother. Thank you to everyone at AO as well as our family, friends and community for taking this journey with us. 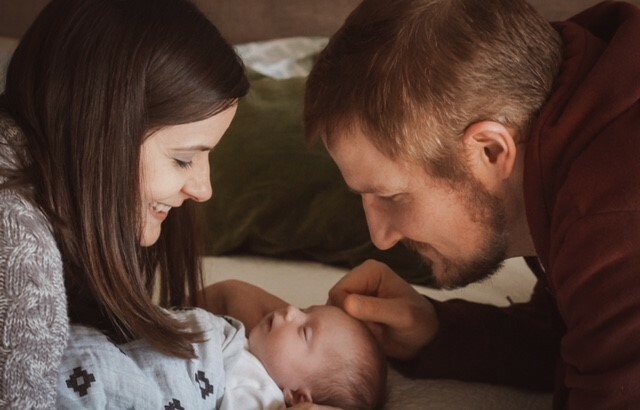 Having Oliver in our lives would not have been possible without the caring work of our social worker Erika, his birthmother, and the loving prayers and support of those around us. Our hearts our full and our family is finally complete. It is our absolute privilege to welcome our daughter Katrina Rose! Jason, Lisa and big sister Kira were happy to welcome Katrina with much anticipation and love on her birthdate August 16, 2018. Our hearts are overflowing with gratitude and love towards Katrina’s birthmom and birthfamily. Words truly cannot express our love for this little girl. Our family has been formed with love, two beautiful daughters and the amazing support of Adoption Options! We are so grateful for the Adoption Options team who have always been incredible support during our adoption journeys. With Madeleine comes a beautiful birth mom and family for us to also call our own. On August 5th, Garrison Alexander was placed lovingly within our family by his courageous and selfless birthmother. Our family has been created by two wonderful birth families. Our hearts are filled with so much love and adoration for the amazing gifts they have bestowed on us. Forever grateful to have the opportunity to watch these precious babies grow! It is with incredible joy that we announce our sleepless nights, endless diaper changes and mountains of bottle cleanings!! Riley Faye was born August 5, 2018 and selflessly placed in our arms August 7, 2018 by her brave, courageous and loving birth parents. We can’t thank them enough for their decision to choose us and thank God for entrusting us with such a precious gift. Special thanks to Melinda and Chantelle for all your support and guidance throughout this journey!! 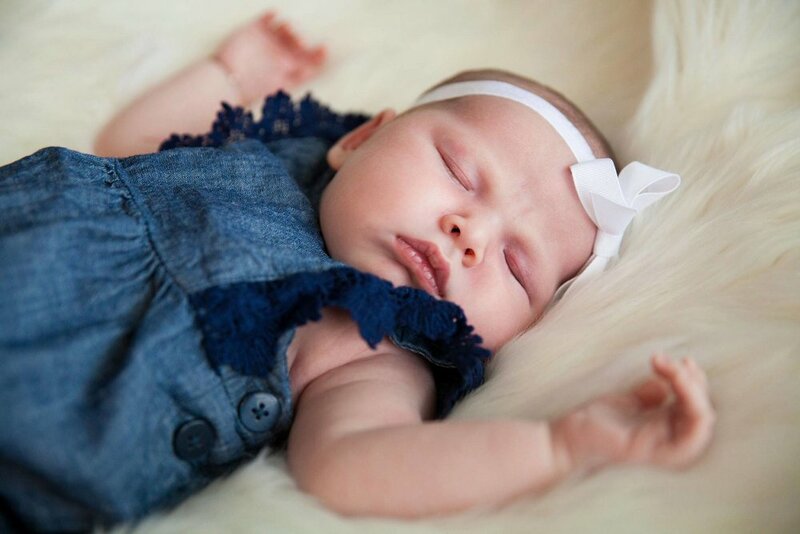 We are overjoyed to announce the newest addition to our family, baby girl Layla Legacy. Layla was welcomed into this world on July 27, 2018 weighing just 3 pounds, 15 ounces, but a fighter nonetheless. She was airlifted by STARS Air Ambulance to the Neo-Natal Intensive Care Unit at the Royal Alexandra Hospital in Edmonton. First and foremost, we thank Layla’s birthmother; she is an extremely brave woman. Layla will always know she has a beautiful, loving birthmother who shepherded her into this world. We would also like to thank all of the staff at the Royal Alex NICU for all of their care, attention and ‘tiny baby advice’. Last but not least we thank our adoption agency, Adoption Options, for making all of this possible in the first place. If butterflies are the dreams we chase, than Layla is our butterfly. We are over the moon to welcome her into our family. Jen and I are beyond excited to introduce the newest addition to our family; Serena Olivia Ann. Serena was born on July 27th in Red Deer and joined our family on August 1st. Our dream to have a second child and complete our family has been fulfilled. Much joy has been brought to our lives and we are forever grateful to Serena's brave birthmother as well as everyone in our lives who have provided their unwavering support; our friends and family, and also everyone at Adoption Options, especially Chantelle and Erika who helped us navigate this incredible journey. After years of waiting, our hopes and dreams of having a child of our own have finally come true. We’d like to introduce you to our daughter, Mhairi (pronounced Var-ee) Ruth. She was born on July 12th, 2018 at the Grey Nuns Community Hospital in Edmonton. A wee thing at 5 pounds 2 ounces, we are happy to report that Mhairi is healthy, though both mom and dad are still completely in shock. Mhairi was discharged on Monday after a short time in the Neo Natal ward, despite her parent’s objections that they couldn’t possibly do this on their own. She slept peacefully on the trip to her new home and enjoyed her first visit to the Donut Mill in Red Deer along the way. We would like to thank all of the people who have been with us on this journey so far. We feel so very blessed to have such a loving and supportive community around us. With long awaited joy and love in our hearts we, Brendan and Michelle,, are thrilled to announce the adoption of our beautiful baby boy!! Logan William James was born July 11, 2018 and lovingly placed in our arms July 13, 2018. Logan weighed 5lbs 12oz and was 49 cm long at birth. Logan has made us a family, which is proof dreams really to come true. He’s a wonderful gift so precious, so little and so sweet. Our hearts are forever full and our lives complete. The miracle of adoption has truly touched us. Now, more than ever before, we believe the universe has a way of knowing when people belong together. We now not only have Logan in our lives but also his beautiful, strong and selfless birth mom and her family. We are truly humbled by her strength. No words or actions will ever express the gratitude and love we have for her and we look forward to continuing our life’s journey together. A big thank you to Nathalie, Barb, Darlene and the others at Adoption Options. Your support, encouragement and guidance throughout our long 5 year wait and especially through the past 2 months is greatly appreciated. To those still on the wait list…..we know for real how hard it is to be hopeful everyday but please believe the Adoption Options staff when they say the birth families will choose you when the time and match is right and when it does trust us….few events in life can compare to the joy!